Jan Marie Crawford of Denver made the donation to fund the renovation of the University Club in her name and that of her late husband, Richard J. Crawford. The Crawfords both earned graduate degrees from OU. Jan Marie Crawford was the director of Union Activities at the University in the 1960s. She led University Scandals and the first OU student trip to Russia. She was also one of the first students to study Higher Education Administration at OU. Richard J. Crawford earned a doctorate from the University and later wrote the book, The Persuasive Edge. He was the first full-time in-house trial consultant hired in a law firm to advise lawyers on their legal presentations. He died in 2009. The renovations include hand-scraped and distressed wood-planked floors, a stone fireplace with an onyx hearth, an enlarged kitchen, stained glass light fixtures, an expanded wine bar and a private dining area. 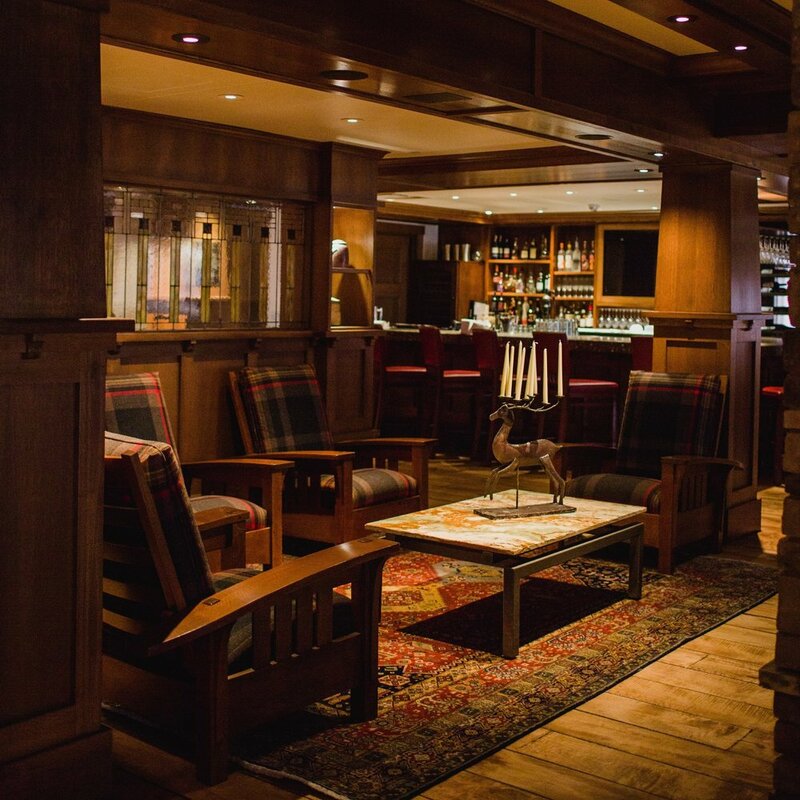 From the timeless mission-style furniture, to the cozy leatherette booths and background music by Steinway, the club provides an inviting atmosphere for people to enjoy lunch, dinner, and special events. The club’s walls are decorated with outstanding artwork from the collections of the Fred Jones Jr. Museum of Art, and examples of Frankoma pottery are featured in a display case near the entrance. Jan Marie and Richard J. Crawford University Club is the Recipient of the Associated Builders and Contractors of Oklahoma 2013 Excellence in Construction Award. The award, which was presented at the ABC's Excellence in Construction Awards Banquet in Tulsa, recognizes innovation, quality and vision by a building team.